Alec and Swit are offering a miniature painting workshop 7 – 10 pm November 17, 2017. 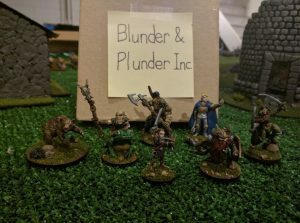 Come learn how to paint cool gaming miniatures for games like D&D, Warhammer, or just make you favorite board game a little fancier. The paint is non-toxic acrylic. It will stain clothes. Paints, brushes, and pallets will be available. A few miniatures will be available for $3-5 or bring your own. You are welcome to bring your own kit but we’ll still ask for the material fee to cover permanent painting supplies for the i3Detroit classroom.